GTA 5 physics allow for some spectacular crashes. But nothing could even come close to this 5-minute-long display of mayhem. YouTuber Hoosker Don’t captured a GTA 5 car crash that turned into a chain car crash, that just kept on going. What starts off with a car hitting a motorbike on a highway, turns into continuous explosions that involve an ambulance, people getting set on fire, and drivers fleeing for their lives only to then cause other crashes. 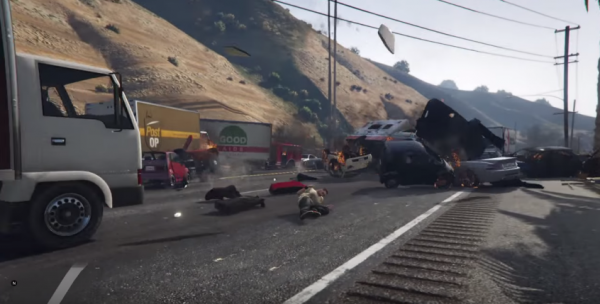 If you thought GTA 5’s AI had a propensity for action/carnage, you haven’t seen anything yet.